Publisher: All Rights Reserved by Publisher. Starting with Python programming language can be daunting. 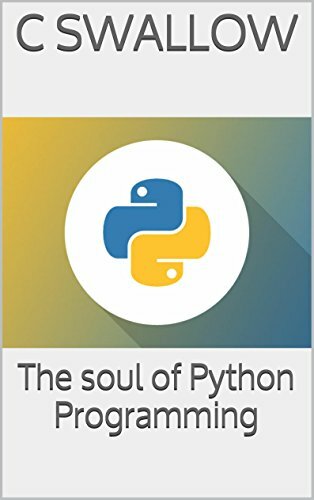 This book complete with reference material and project examples guides you through the all of the key concepts of Python Programming to provide you with the skills to succeed. This book is suitable for both students wanting to enter into a programming career and experienced professional programmers already with a solid skill set wanting to take it to the next level. Python is one of those rare programming languages which can claim to be both simple and powerful. You will find that you will be pleasantly surprised on how easy it is to concentrate on the solution to the problem rather than the syntax and structure of the language you are programming in. Python is an easy to learn, powerful programming language. It has efficient high-level data structures and a simple but effective approach to object-oriented programming. Python's elegant syntax and dynamic typing, together with its interpreted nature, make it an ideal language for scripting and rapid application development in many areas on most platforms..